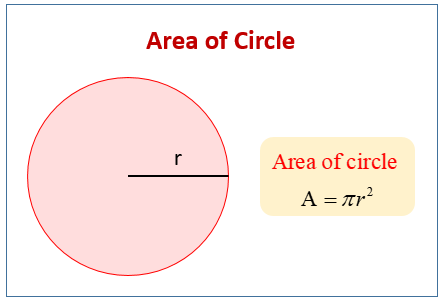 The following figure give the formula for the area of circle. Scroll down the page for more examples and solutions. How to use a formula to find the area of any circle? To calculate the area of a circle, multiply the number pi, which is approximately 3.14, by the squared radius.